Bit late on this one aren’t I? But better late than never. 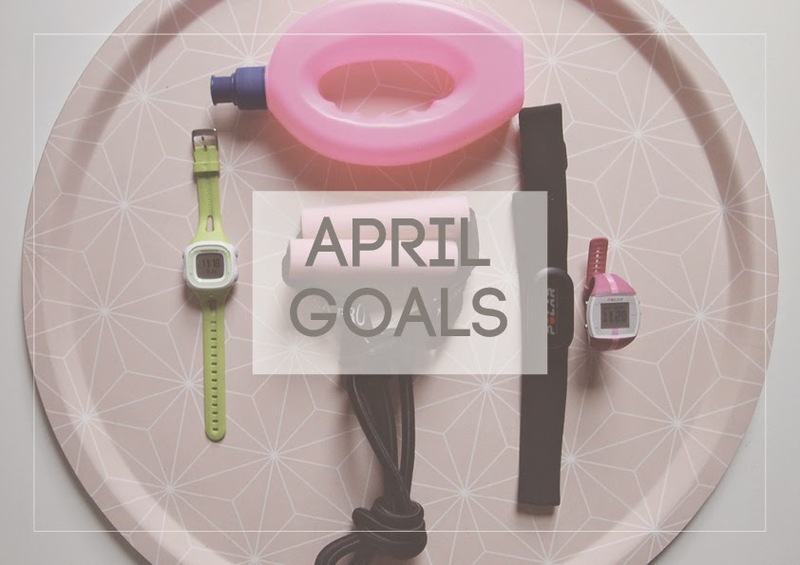 This month, I have a ton going on including some exciting challenges and I really want to knuckle down and get April cracked. Some of these goals are more ongoing than anything but good to get them down in writing so I can begin tracking them effectively. This weekend, I’m heading off to Sheffield with my mum to run the Plusnet Yorkshire Half Marathon. I haven’t done as much training as I normally would do for a half marathon in terms of time on legs, but I’ve been doing different sorts of training. I’m pretty confident I’ll do an OK time, just not a sub-2 hour race, but I can definitely live with that. I’ll keep you posted on how the whole thing pans out and how I’ll be recovering afterwards. I’ve been doing group PT sessions since about September last year, twice a week, which I absolutely love. For me, doing group sessions spurs me on more than working out alone, and I have a really good group who I train with regularly which helps. I’ve made a huge improvement even since September, but I want to get a bit more serious now and see what my body is capable of. Bring on those deadlifts and gainz. I’m training to be a Diet and Nutrition Advisor, which is ridiculously exciting and something I’ve wanted to do for a long while now. My love for wellbeing and healing through nutrition has reached new heights over the past 18 months, and rather than watch from the outside, I want in on a world where I can advise people on bespoke nutrition plans and re-educate on how different foods impact the body. Don’t worry, I’m not going to become all preachy on the matter – for me it’s all about a healthy balance and this is something I want to incorporate into everything I do. I’m studying part-time with Stonebridge, as recommended by lovely Laura over at Wholeheartedly Healthy and thoroughly enjoying it so far. I’ve got some nasty ongoing throat issues thanks to a double hit of laryngitis last year, which resulted in me losing my voice completely for around 3 weeks. I’m having speech therapy to combat some of the more technical sound bits of the condition, however, I’m also cutting out dairy for the rest of the month to see how my throat (and general wellbeing) responds. I have to say this is hard work (gimme a flat white, please) but I’m very into how different types of food affect the body, and as dairy is a natural inflammatory, I’m experimenting with giving it up to see if it’s worthwhile in the long run. I’ve dabbled in a bit of yoga in the past, but never full committed myself to the cause. On a quest to complement my strength training and gets those abs firmed up, I want to start throwing in a a couple of yoga sessions here and there. This month, I’ll be breaking myself in and following some yoga videos on YouTube (big up Yoga with Adriene, thanks Anna for the tip). Also this means I can buy some snaz new workout gear which is always good #spendy. Thanks so much! I used to be rubbish at running, but have really grown to love it over the past few years 🙂 things like couch to 5K programmes or doing Race For Life can be a great way to get into running if you haven't done any/much before. I really think I want to cut out dairy, too. Would love to know how you get on with that one! foxonthehunt.com – smashbox palette giveaway! Thanks Georgina, I'm going to do a post on how it's worked for me so far in a month's time, so keep your eyes peeled for that. It has been a pretty hard so far, I'm not going to lie (I'm craving greek yoghurt and a milky coffee) but think it'll be good in the long run.